What Do the Celtic Knots on Irish Dance Dresses Mean? The next time you’re at an Irish Festival or a dance competition take a few minutes to look at the dresses that surround you. While the flashy solo dresses will first catch your eye, look to the groups of matching dresses. 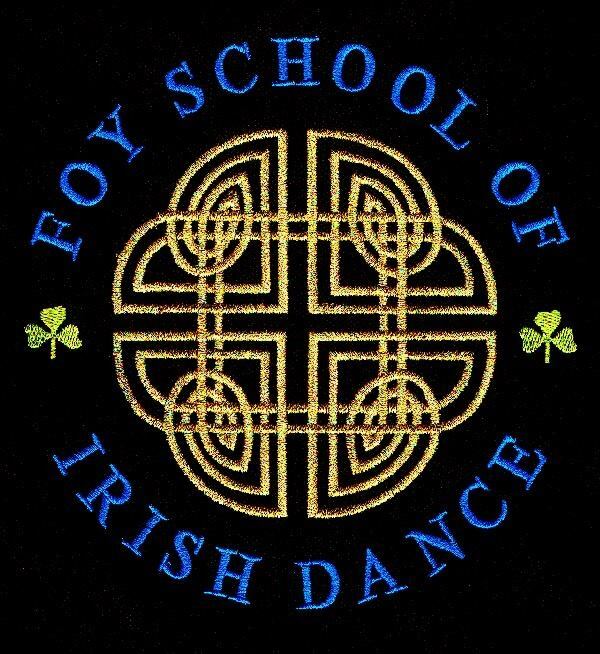 The Celtic knot for the Foy School of Irish Dance is easily recognizable on the young dancers’ dresses. The Celtic knot work on the dresses tells you, at a glance, which school the dancer attends. 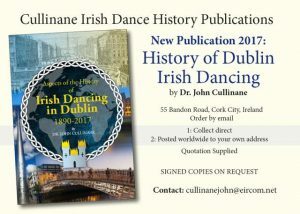 The Celtic Revival movement by the Gaelic League to promote Irish culture – including Irish dance, language and sport- in 1893 led to development of Irish dance ‘costumes’ for performance and competition. 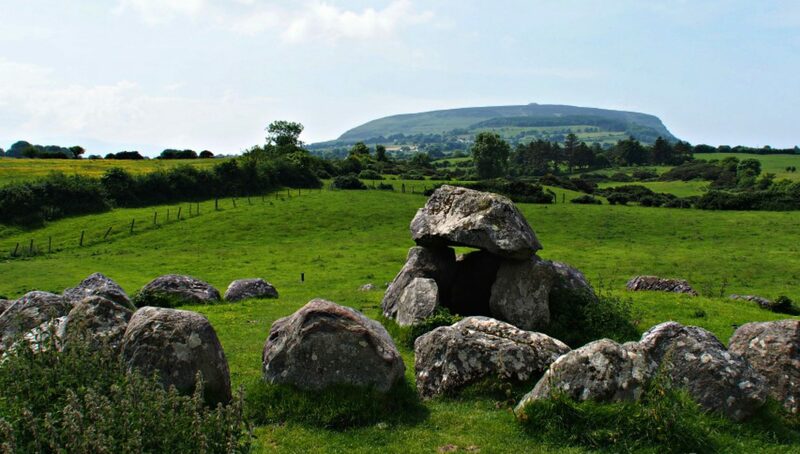 “There is no truth at all that schools had to choose Celtic knots from the Book of Kells. None what so ever. Can you find your Celtic knot, or a similar one, in the Book of Kells? View the book online and see! Is There a Purpose of the Celtic Knot on Irish Dance Dresses? 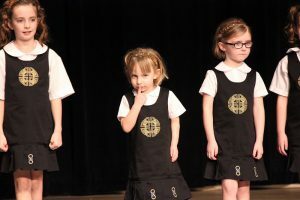 Because each school has their own knot-work dancers can be instantly recognized by their dresses, jackets, or clothes. Think of the school knot as a ‘team emblem’ that shows your pride, loyalty, and support of your school. 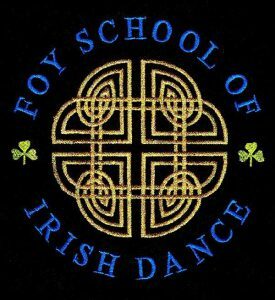 The Foy School of Irish Dance knot is a Celtic shield knot. An ancient symbol of protection, this knot was placed near ill people or on battle shields for warding off evil spirits. If you think about it, this is the perfect knot for wearing into your own ‘battle’ at a Feis! The shield knot is recognized by its four distinct quadrants or corners.